On the main title screen push up on the remote when on "Play Movie" a phone icon will appear next to the title. 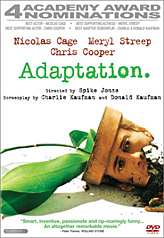 Press your Enter button and you will go to a screen that says: "The Adaptation Answering Maching. 1-310-244-2077"